M12 Hexagon Full Nuts, Zinc Plated. M12 Hexagon Full Nuts, Zinc Plated. 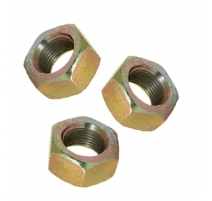 M14 Hexagon Full Nuts, Grade 8. M14 Hexagon Full Nuts, Grade 8. M20 Hexagon Full Nuts, Grade 8. M20 Hexagon Full Nuts, Grade 8. M24 Hexagon Full Nuts, Zinc Plated. M24 Hexagon Full Nuts, Zinc Plated. Grade 8 Zinc Plated Hexagon Full Nuts. Grade 8 Zinc Plated Hexagon Full Nuts.